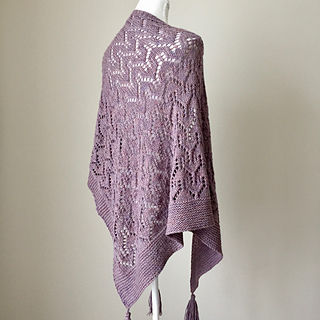 Chance Cove provides a modern twist on the classic, triangular shawl. 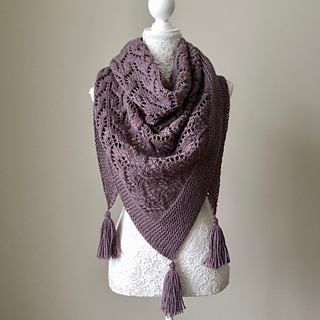 Worked from side to side in a worsted weight yarn, it features a sleek, geometric lace pattern. 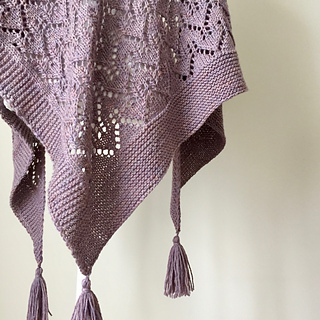 The clean lines of the lace paired with simple, garter stitch edgings make it anything but fussy. It can be worn traditionally over the shoulders or wrapped around the neck like a scarf. 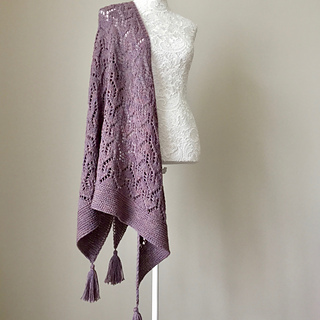 The tassels are for more than just style; they add weight in the right places, helping the shawl to stay put no matter which way it’s worn. Big enough to be warm, but not overwhelming, Chance Cove is a wearable piece you’ll reach for again and again. Shown in Cascade 220 Heathers (100% Wool; 201m/220 yd per 100 g/3.53 oz skein) in colour Iridescence (8872). *A longer or shorter needle could be used if necessary, as long as it can comfortably accommodate the number of stitches. 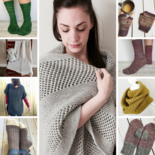 Chance Cove is knit from side to side (i.e. from one top corner to the opposite edge) with a garter stitch border and central lace pattern (see Schematic on page 4 for more information). The number of stitches increases by one every RS row. 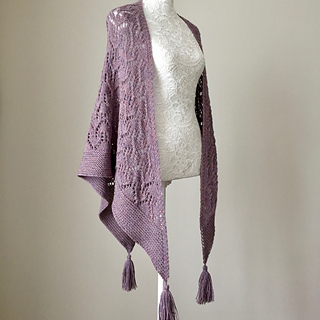 Optional tassels can be added after the shawl has been blocked. Lace pattern is both charted and written.